Manager Steve Bruce has been told by Aston Villa bosses that the club cannot even afford free transfers as the financial situation at the cash-strapped Midlands club continues to deteriorate. 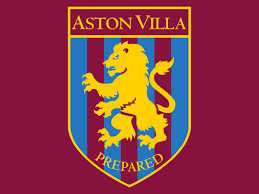 Villa invested heavily in their squad last season in what proved to be, ultimately, an unsuccessful attempt to win promotion back to the Premier League, and the riches that come with it. As a result they find themselves trying to raise money to plug a weekly revenue shortfall, and there were even rumours that the club could face administration or even a winding-up order after it failed to make a tax payment. To make matters worse, former Chief Executive, Keith Wyness, who was suspended and then dismissed in the wake of the HMRC incident, is suing the club for unfair dismissal and breach of contract. Chinese owner Dr. Tony Xia is desperately trying to raise new investment, with the club already resigned to having to sell its best players, like Jack Grealish, who has been linked with both Spurs and Liverpool. However, according to The Daily Mirror, things are so bad that Bruce cannot even pursue his interest in free agent Robert Huth, to replace John Terry, who left the club to help reduce Villa’s payroll.